In A Christmas Carol, published in 1843, Charles Dickens tells the story of the reformation of one Ebenezer Scrooge, miser of London. On Christmas Eve, Scrooge, who greets the Christmas season with “Bah! Humbug!”, is visited by a four spirits, starting with that of Jacob Marley, his deceased business partner. The three other spirits are the ghosts of: Christmas Past; Christmas Present; and Christmas Yet to Come. Between them they convince Scrooge he is better off living a life of personal charity. Scrooge is a happier man afterwards, but strange as it may seem, there is a case that both pre-spirit and post-spirit Scrooge had much of value to say about social policy (albeit in different ways). In Chapter 1 of A Christmas Carol, two “gentlemen” come to Scrooge asking for (in essence) a hand-out for the economically vulnerable. Scrooge responds that he pays his taxes – which is, of course, more than many business folk might be able to say – and therefore it is the establishment’s job to use the tax money to alleviate poverty. In this he is, of course, perfectly correct. 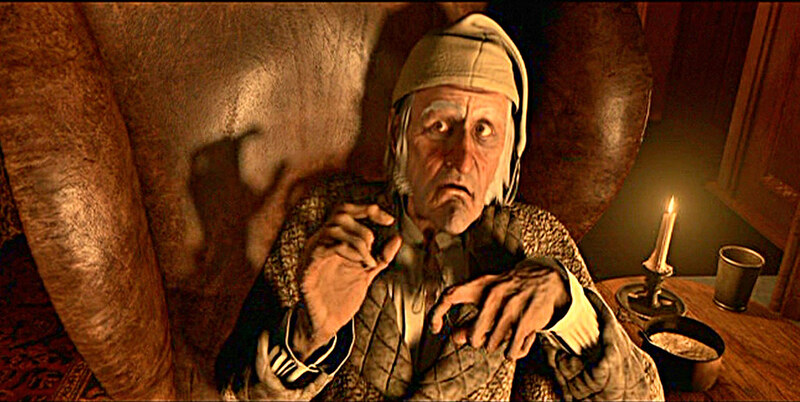 It is also worth noting in passing, Scrooge employs his clerk, Cratchit, on at the least a living wage (though not much more) and on regular hours. Cratchit, unlike nearly a million UK employees in this more enlightened age, at least does not bear the insecurity of employment on a zero-hours contract. Neither does Cratchit suffer the insecurity of the so-called “gigging” economy. Pre-spirit Scrooge argues it is the responsibility of the state, not business, to address the problem summarised by Winston Churchill: “The inherent vice of capitalism is the unequal sharing of blessings”. Such sentiments are echoed by the economist Milton Friedman who assured us it is the responsibility of business to make profit – end of story! Therefore, so Freidman notes in his 1962 book Capitalism and Freedom, it is the responsibility of government to ensure that people operating in the market (including profit making businesses) behave in such a way as to improve overall wellbeing. However, the story does not end there; pre-ghost Scrooge is right in economic terms – it is not his responsibility to make up for the failings of the state – however, he is wrong in thinking, if the state fails to address economic exclusion, he bears no responsibility to try to put things right. The post-ghost Scrooge is rather more generous, at least to the family of his employee, Cratchit, and those who were lucky enough to have made his acquaintance. It might be worth considering, before we go on, why it is that Scrooge was wealthy and Cratchit poor. They both, no doubt, work equally hard – Scrooge was, to be sure, an exacting master. They were both, no doubt, good at their job – Scrooge would not keep Cratchit otherwise. The difference between them comes down to the inequality of power; as Nietzsche has observed, “Justice is … reprisal and exchange upon the basis of an approximate equality of power”. Scrooge has capital, Cratchit has not! They say, “If you give a man a fish, he will eat for a day, if you teach him to fish, he will never be hungry again”; Cratchit knows how to “fish” (how to earn his living) but Scrooge controls access to the river, that is why Cratchit is still hungry. This imbalance of power means Scrooge can negotiate a sharp deal; he (Scrooge) appropriates the fruits of Cratchit’s labour paying the minimum out of the value that Cratchit creates, while hoarding the surplus. The post-ghost Scrooge continues to enjoy the privileges which accrue to him arising from this power imbalance, but now he is a bit more generous with giving back some of the surplus Cratchit creates (during the Christmas season, at any rate). This is a step in the right direction, but it does not address the underlying problem of economic exclusion. We can but hope post-ghost Scrooge uses his influence to induce politicians to address the imbalances of power which give rise to poverty in the first place. The ultimate resolution to this problem is that we ought to ensure the state does its job in tackling economic exclusion so the Cratchits of this world are not forced to rely on the charity of the powerful: The powerful, in the meantime, ought to work on their charity, in case the state cannot solve the problem on its own. And so, as Cratchit’s son Tiny Tim observed, “God Bless Us, Every One!” because it is going to take every one of us to address these problems of poverty and social exclusion. Kevin Albertson is a Professor of Economics at Manchester Metropolitan University and co-author of the Haynes Manual, How to Run the Country. Please note that blog posts do not necessarily represent the views of other authors on the blog or of the Manchester Metropolitan University. A version of this blog was first published on The Question.